CRME---> Shares of Cardiome Pharma jumped more than 12% on regular trade session on Friday, making a strong Breakout above 1.58 level and above its Upper Bollinger Band Line going testing its 50 Moving Average! The Momentum is strong and a confirmation of the break above its 50 Moving Average could boost it for a monster upside movement!! 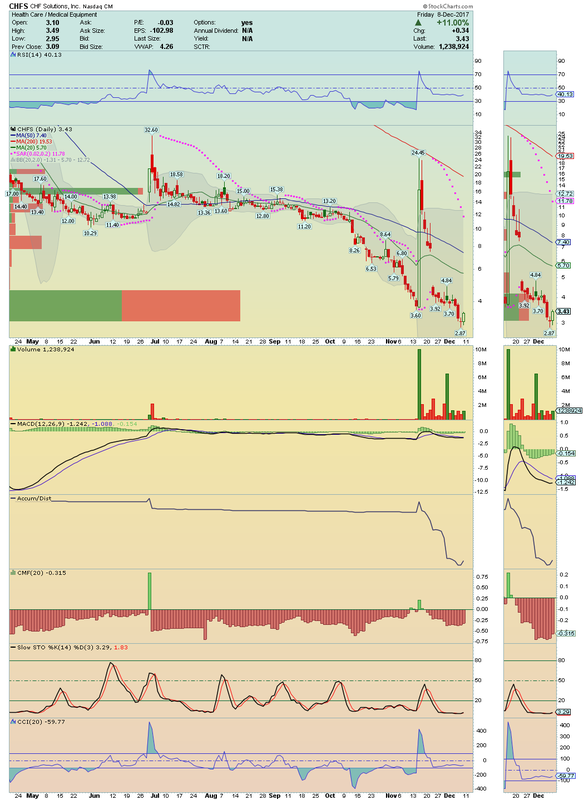 It is a Buy over $1.67 with target $2.15 and 2.45 as next. CLSN ---> Shares of Celsion Corp. jumped mores than 11% on low volume crossing and closing above its 20 and 200 Moving Averages! 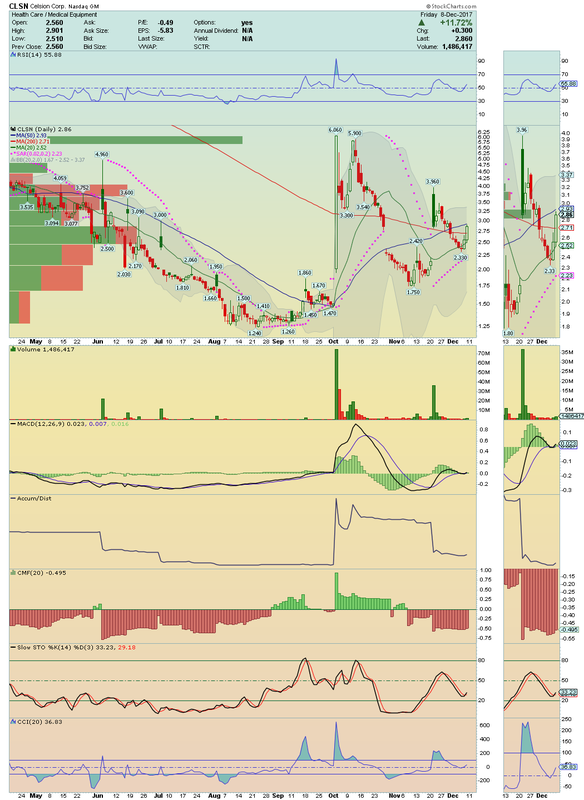 It is now well positioned to break above its 50 Moving Average and if it do that on volume, it could run easily at least $3.96! It is a Buy over $2.93. 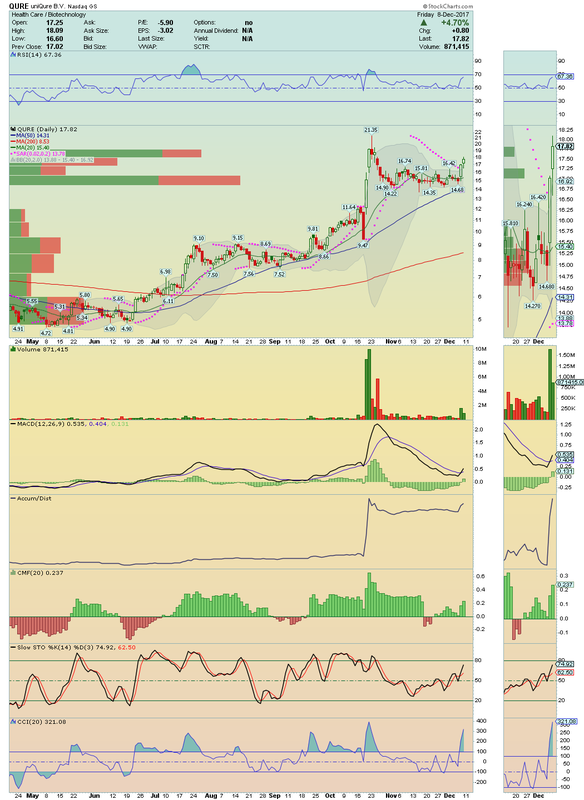 BSPM ---> Biostar Pharmaceuticals is about to break above a strong resistance area and $2.19 is key level now to watch!! If break it, we could get a nice trade to $2.42 and $2.52 as next. VSTM ---> Shares of Verastem broke above its Down Trendline and above its Upper Bollinger Band Line with high Accumulation and Buying Pressure. 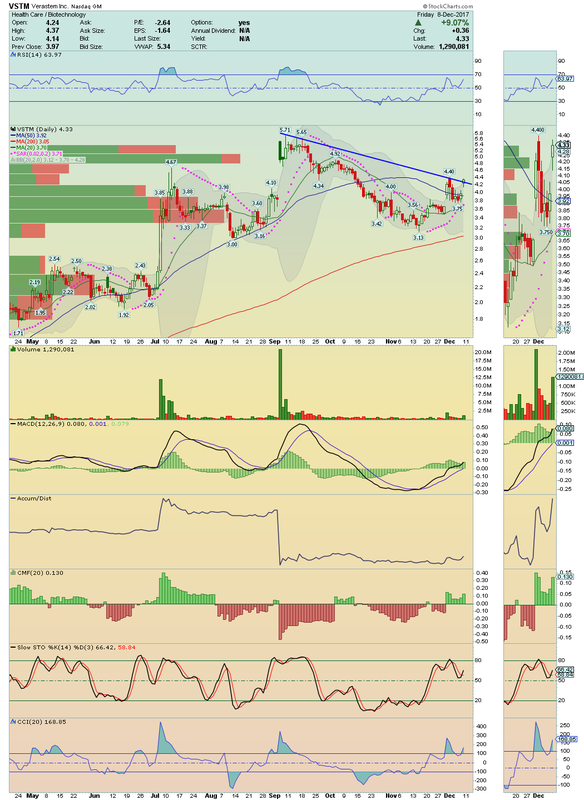 A break now above $4.40 on volume could lead us for upside movement with target $4.92 and $5.60 as next. CHFS ---> Shares rose about 11% from its Bottom in last regular trade session, continuing very strong in after-hours, following the news of 13.1% Passive Stake in the company by Chiang Li Family!! Expected a SkyRocket. PRTS ---> It is a Bottom Player with a strong interest by buyers on last trade session!! With technical indicators curling up, this setup is ready to Soar!! Worth watch.